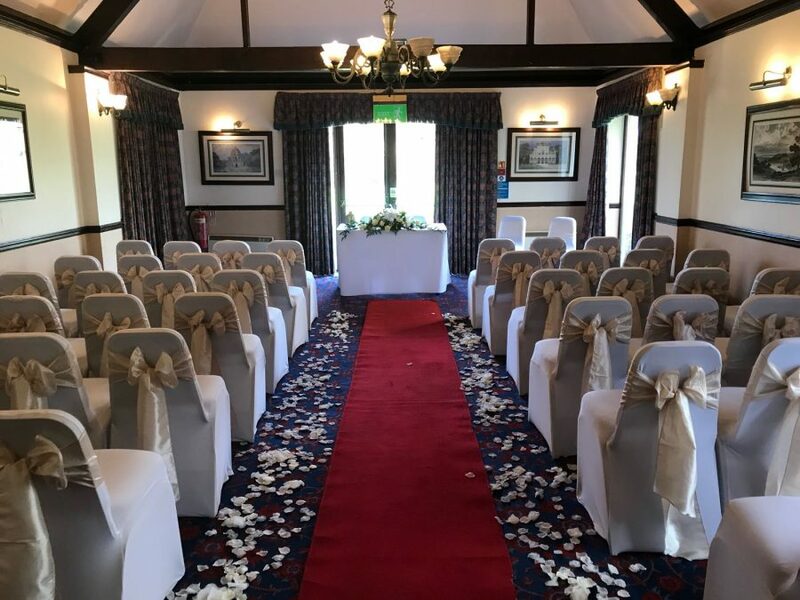 We believe that on your special day, nothing other than the best will do and we are committed to making your venue look perfect for your special wedding day or that perfect event you have been planning for months. 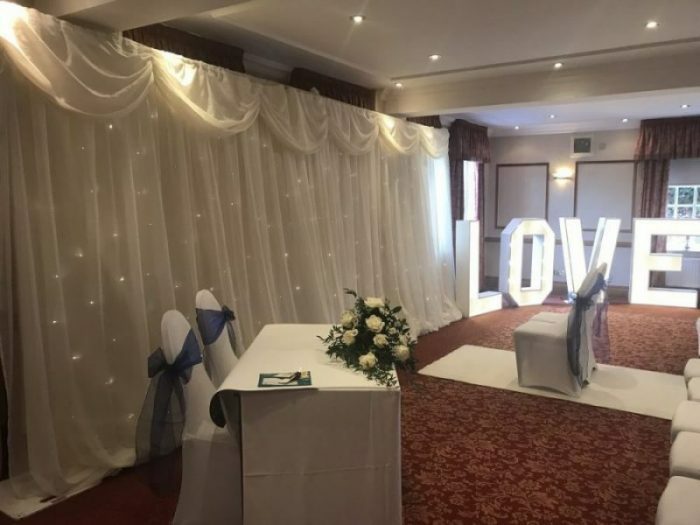 Here at The Weddings & Events Boutique we pride ourselves in ensuring your venue is left looking outstanding and leaving your guests with the wow factor. 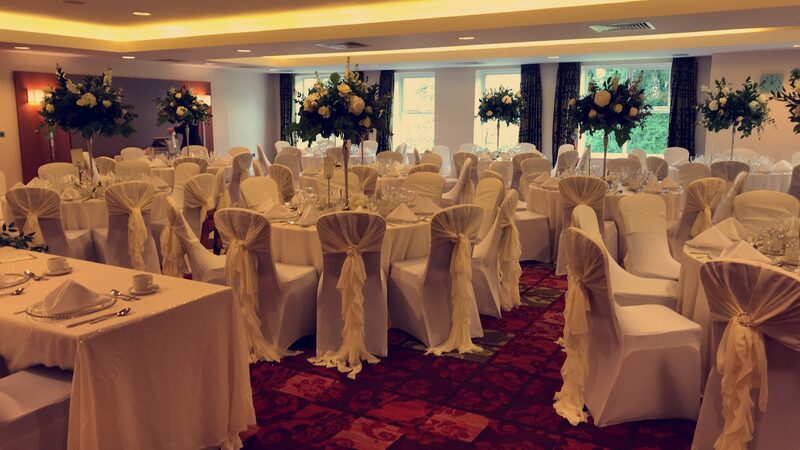 We have a vast range of chair sashes and covers that we hire for weddings and events. They are available in taffeta, satin, lace and more. We only use the very best in materials. 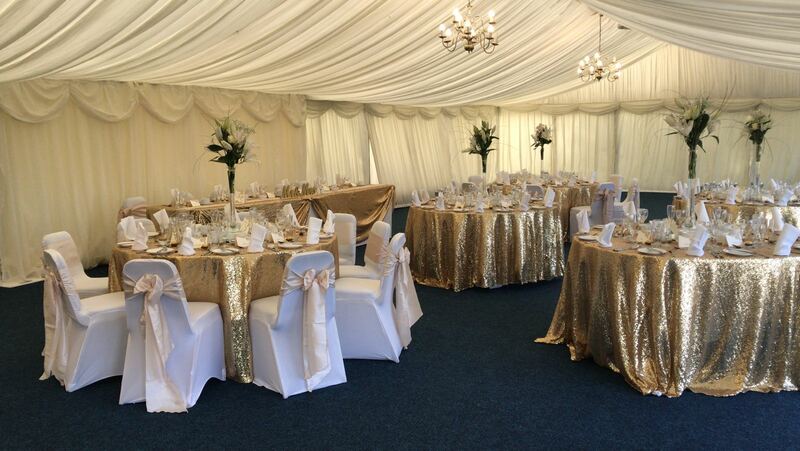 We hire a vast range of table cloths in plain, sequin, embroidered and lace overlays. We have matching table runners to all of our chair sashes. From fishbowls to tall cherry blossom trees and everything in between. We stock a large range of centrepieces for hire for your wedding or event and can incorporate your chosen colour scheme with all our centrepieces.